As requested by many of our customers, we have made a separate cost overview for each ship’s visit (a Confirmation of Purchase) available for agents like yourself in two of our services. 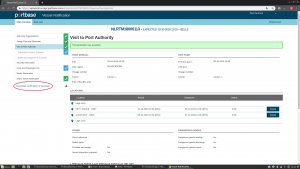 This makes the Portbase costs you’ve incurred transparent. The feature is available in Notification Ship’s Stores and Notification Crew and Passengers only. Within the ‘costs per ship’ working group, Portbase, VRC and agents are exploring whether a similar confirmation of purchase is possible in other services. 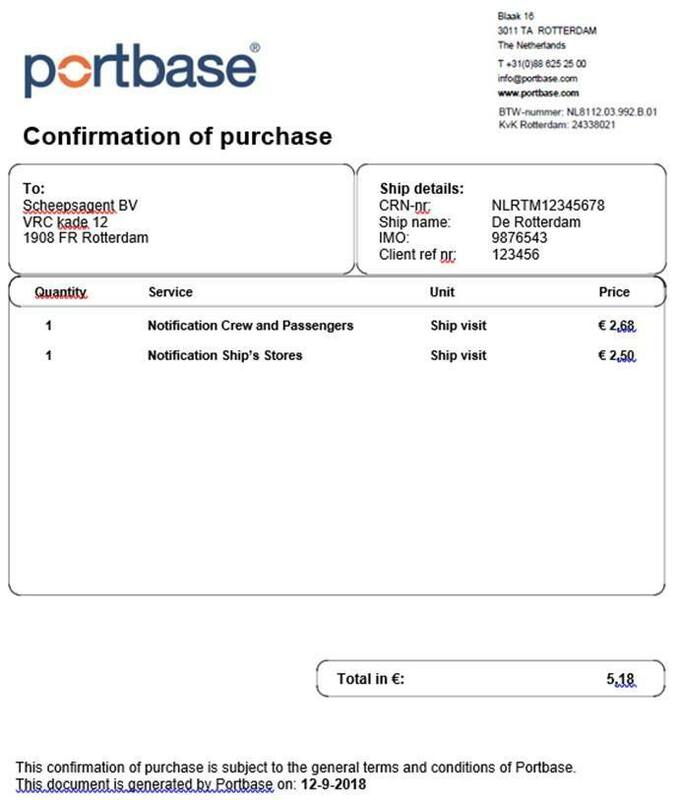 The Confirmation of Purchase is available for all parties who use Vessel Notification 2.0 to submit the Notification Ship’s Stores and/or Notification Crew and Passengers. 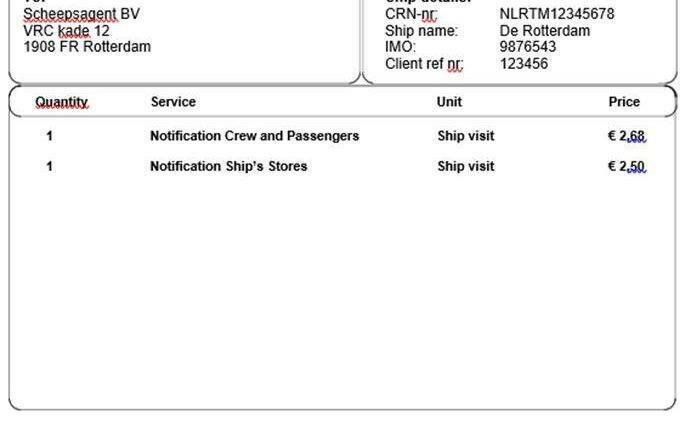 Once the notification of the ship’s stores has been accepted by Customs and/or the crew and passengers list has been sent to the Royal Netherlands Marechaussee, a download button will be activated on the left-hand side of your screen (see figure). With one click of the button, you will have a PDF file with a cost overview for each ship’s visit to add to your records. This Confirmation of Purchase is intended purely as a proof of payment. Nothing will change with regard to how Portbase invoices you for its services. Questions? Our Service Desk will be happy to assist you. 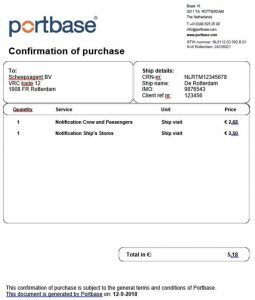 They can be reached at +31 (0)88 625 2525 or servicedesk@portbase.com.